I am working on several recipes that use mayonnaise. I did a few tests before there was one that tasted well. This was a project. I went through a lot of good olive oil to get this right, but the next time I make it I plan on using avocado oil. Since it is so expensive I wanted to get it right first as I was in my test kitchen. This is a great paleo recipe or gluten free recipe! Once you make this, plan on using it that week. Therefore, plan your recipes first. I read that it is good for about 7 days but I am going to try and use it within 5 days! If you want to watch me making paleo mayonnaise on my Super bowl Party cooking video! Using your food processor or blender add in eggs, lemon juice, dijon mustard and salt. Put the food processor on and start to drizzle in the oil. After 1 1/2 cup stop and taste and feel the texture. Keep adding oil until you have the consistency of mayonnaise. Do not use more than 2 cups of oil. Store in a sealed container or jar. 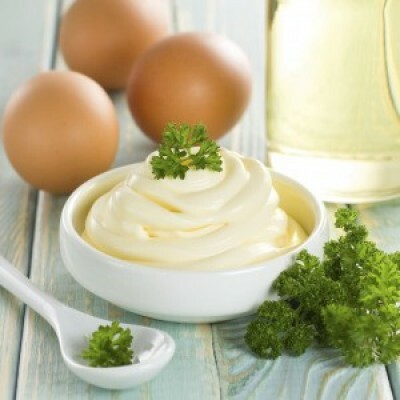 Tip: If you want to jazz up your mayonnaise add in freshly grated ginger or any dried Italian herbs. I made a tuna and added a 1/2 teaspoon of basil, parsley and garlic powder. YUM!